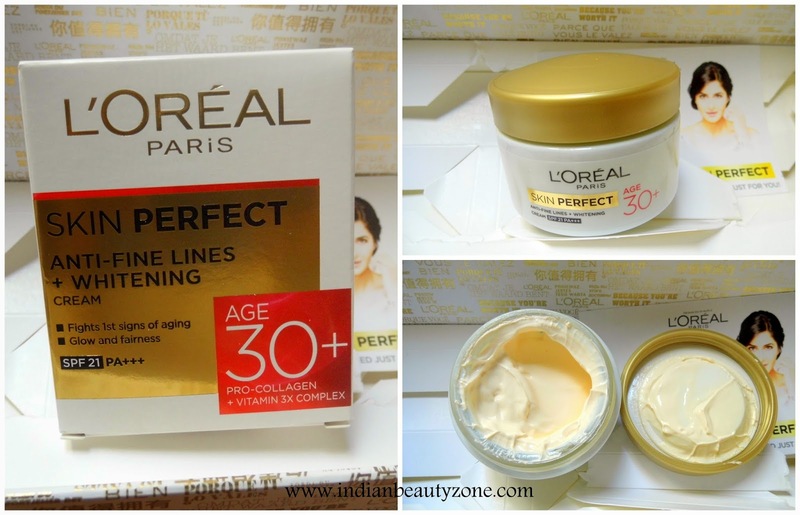 L'Oreal Paris Skin Perfect available in 3 variants for 20+ age, 30+ age, 40+ age. They are available easily in all offline and online stores, do check your nearby Beauty shops like Health n Glow, Life Style L'Oreal outlets etc. 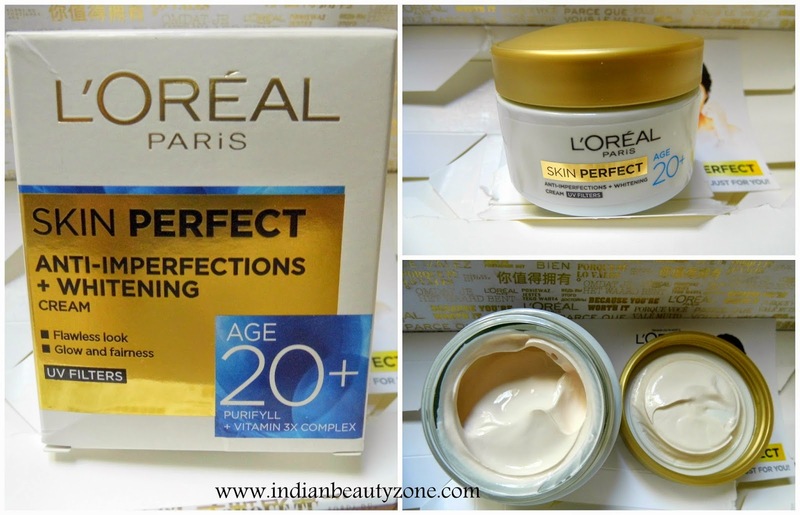 L'Oreal Paris Skin Perfect Anti Imperfections+Whitening Cream Age 20+ with Purifyll+Vitamin 3X Complex for Flawless look, Glow and Fairness with UV Filters. Skin Care Cutomised for your age, the skin has different needs at every age. L'Oreal Paris has created skin perfect a range specifically formulated to address these specific skin needs. L'Oreal Research has selected powerful actives and specifically designed this cream to act on skin texture and tone of Indian women from 20 years old. 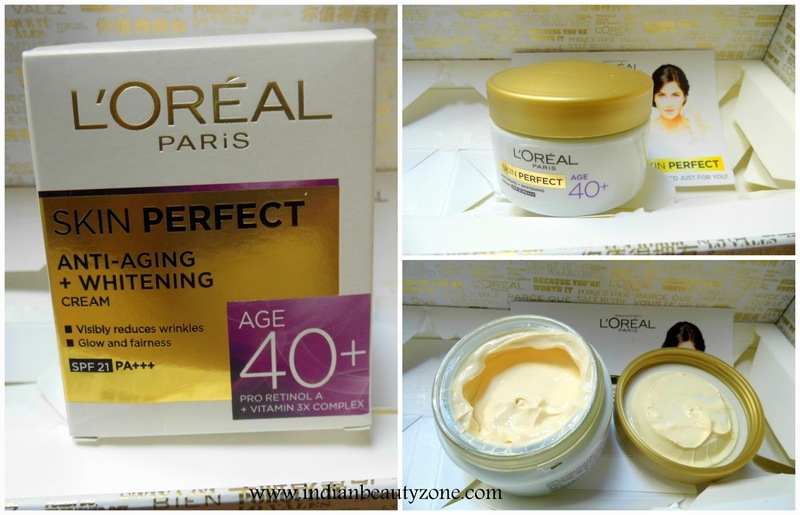 L'Oreal research has selected powerful actives and specifically designed this cream to act on skin texture and tone of Indian women from 30 years old. Enriched with Pro-Collagen, an anti-aging active, this formula smoothens skin and visibly reduce fine lines. Protects skin from sun rays which cause aging and darkening. From the age of 40+, aging and daily aggregations such as exposure to UV rays may cause wrinkles and dark spots to appear, skin loses firmness. Enriched with Pro-Retinola A, a powerful anti-aging active, this formula visibly reduces wrinkles and helps make skin plumper. Tell me which variant you are going to try? They don't have for my age group - 50 and above. Still its a great concept of coming up with product for different segment. They look and sound very nice. Thats a great idea of age+ creams..